Prof. Rwekaza Sympho Mukandala is the Mwalimu Julius K. Nyerere Professor of Pan-African Studies and also a Professor of Political Science and Public Administration at the University of Dar es Salaam. 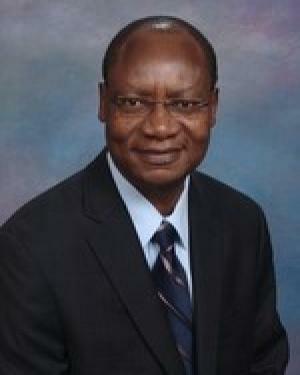 He was Vice Chancellor of the University of Dar es Salaam from 2006 to 2017. He obtained a Bachelor of Arts [Hons.] Degree (International Relations and Administration) and Masters Degree in Development Management from the University of Dar es Salaam, and a PhD in Political Science from the University of California, Berkeley, as well as a Certificate in New Institutional Economics. He was awarded the Peter Odegard Prize as the Most Distinguished Candidate for the Doctorate in Political Science at Berkeley. Upon completion of his PhD, he returned to the University of Dar es Salaam as Senior Lecturer and rose rapidly through the ranks and was promoted to the Professoriate in 1993. He teaches Organization Theory, Public Administration and Comparative Politics. Professor Mukandala is a Chair of many institutions, including the National Examinations Council of Tanzania, which conducts examinations at primary, secondary and high school levels in Tanzania (up to 2018); The Tanzania Library Services Board; the Council of the Open University of Tanzania; Research and Education for Democracy in Tanzania (REDET); and the Tanzania Election Monitoring Committee (TEMCO). He has also been President of the African Association of Political Science (AAPS), Dean of the Faculty of Arts and Social Sciences, Head of Department of Political Science and Public Administration and Director of Research and Publications at the University of Dar es Salaam. He was Chair of the Organizing Committee for the XIX World Congress of the International Political Science Association (IPSA) Durban South Africa in 2003. He has also served on the Administrative Councils of the International Institute of Administrative Sciences (IIAS) and the International Association of Schools and Institutes of Administrative Sciences (IASIA). He has served as a Chairperson of the Committee of Vice Chancellors and Principals of Tanzania (CVCPT) and as Vice Chair of the Tanzania Commission for Universities (TCU). He is a fellow of the Tanzania Academy of Sciences. At the golden jubilee of the University of Dar es Salaam he was awarded A Gold Prize for enhancing research and education for democracy in Tanzania. Professor Mukandala has carried out research on Comparative Politics, Aid and Donors, and Democratic Governance in many African countries. He has also consulted widely on these and other related issues for the Government of Tanzania, International Organizations and Donors. He has published sixteen books and many articles in International and Local Journals, including: the African Journal of Political Science; International Review of Administrative Sciences, and the Canadian Journal of African Studies. His latest book is: The Political Economy of Change in Tanzania: Contestations over identity, the Constitution and Resources. As Vice Chancellor of the University of Dar-es-salaam for eleven years, he spearheaded efforts of restructuring and repositioning the University of Dar es Salaam into becoming a Centre of Intellectual Wealth ready to successfully face the challenges of the 21st century. He is married to Mrs. Catherine Marealle Mukandala and they are blessed with four sons.